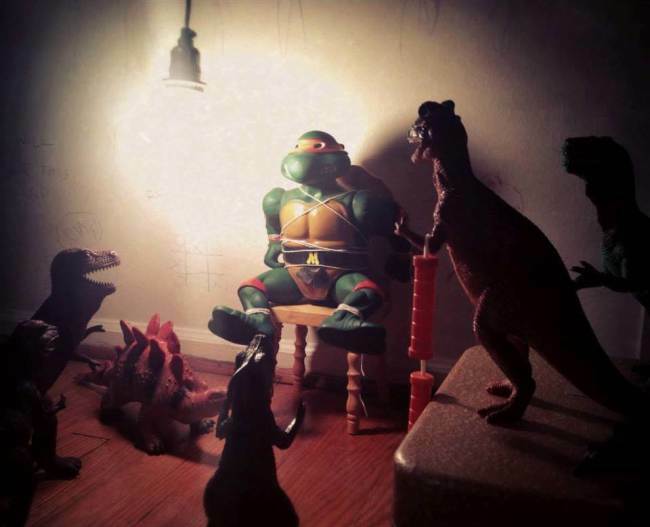 See toys come to life like Toy Story in DiNovember prank! So when you first saw Toy Story we bet you started wondering what your toys get up to when you’re not looking. Well, we’ve got hold of some pictures that prove there’s something going on in the toy box when there aren’t any humans about. A family have been waking up throughout November and catching a group of Dinosaur toys in the act. They freeze when they hear the humans, but the positions they’re in can ONLY mean they’ve been up to something. What do you think the explanation for the Dinosaurs is? Let us know in the comment box below.